With each season comes new opportunities for learning, growing, and giving. This takes place in the Fall and is an exciting day for our walkers and bikers. The kids work hard for several weeks in order to meet their fundraising goals. They are rewarded with exciting prizes that motivate them, such as movie days, brand new bikes, field trips, and ice cream socials. The monies they raise go toward new equipment and supplies for their school, such as lunch tables and technology. Never underestimate the capabilities of motivated young students! Jeff Stern was an important leader in our school ministry, serving as board chair for many years. He oversaw many changes and much growth at Christ Community as well as the building of our new school facility in 2001. Jeff was a loving father to Zach and Allie Stern (former CCLS students). A long time golfer, the school golf tournament was renamed in his honor after he passed away in 2006. Jeff is missed but not forgotten by everyone who knew him! Proceeds go to the Student Aid Program. Watch for your sponsorship opportunity in September-October each year! Gilbert Paschka, a lifelong member of St. Paul’s Lutheran Church had a passion for Lutheran education. He was excited to hear about new families enjoying the blessings of a Lutheran school. In Gilbert’s memory, the Board of Directors has established an Adopt-A-Student Program. The Gilbert Paschka Adopt-A-Student Program encourages people to step forward in faith and donate money toward tuition for students whose families demonstrate financial need above and beyond the capacity of Student Aid. The program has multiple benefits: it allows children to enroll at CCLS who otherwise may not be able to afford the tuition and it allows people to demonstrate good stewardship of the financial blessings God has given them by sharing their gifts and multiplying our ministry. Donations to the Gilbert Paschka Adopt-A-Student Program are tax deductible. This is the biggest fundraiser of the CCLS school year. It operates as both a silent auction and a live auction. After participants have enjoyed a full meal, they are led through the silent auction items. These have been donated from local businesses and crafted by area artisans throughout the year in preparation for this event. Other items are donated to the General Store, such as home baked items, and handmade home goods. The last part of the evening is the live auction, with some other popular games tossed into the thrilling mix. It's a fun, can't-miss evening for the whole family! Minnesota’s favorite pizzas, Heggies! Look for these in January. There are no catalogs or complicated order forms. Pepperoni, sausage, spicy, breakfast, there's a pizza for everyone! This is a great time to stock up your freezer, because every family needs a frozen pizza night! There are lots of ways we can all chip in by, believe it or not, just buying the same things we always buy. One great way to keep these organized is to have a little box, folder or baggie in the kitchen. Fundraising efforts are our main source of income and help fund activities and outings for your children. 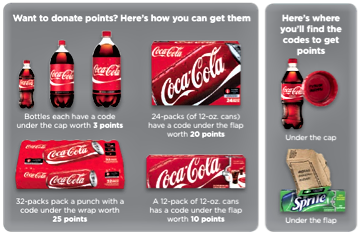 Many people simply throw the Coca-Cola packaging away without redeeming their codes, but that is a mistake. 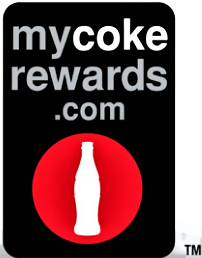 The few moments of time it takes to redeem the codes on your Coke purchases can be turned into big discounts, free stuff, or big prizes, making the Coke Rewards program a good way to stretch your budget. Coca-Cola Give is a program that allows people to redeem their Coke codes to help local schools. Each code you enter gives the school or charity of your choice a donation worth between $0.05 and $0.38, depending on the product. 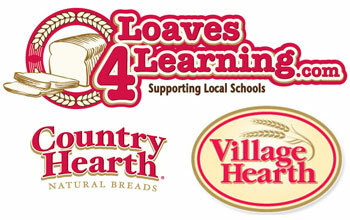 Log into moreRewards.com or the MORE Rewards mobile app to designate your preferred school or childcare facility. Shop Coborn's, Cash Wise, and Marketplace Foods stores for our store brands (Food Club, Full Circle, Top Care, @ease, Paws, Tippy Toes, and more!) to earn points for your school. There are more than 3,000 qualifying items! Coborn's, Inc. is committed to donating $150,000 to local entities during the 2017-2018 school year. The points your school earns will help grow their share of the $150,000 total. It's like a pie - the size of your school's slice will depend on how many points they have received. Schools should encourage their supporters to register for their location at moreRewards.com.